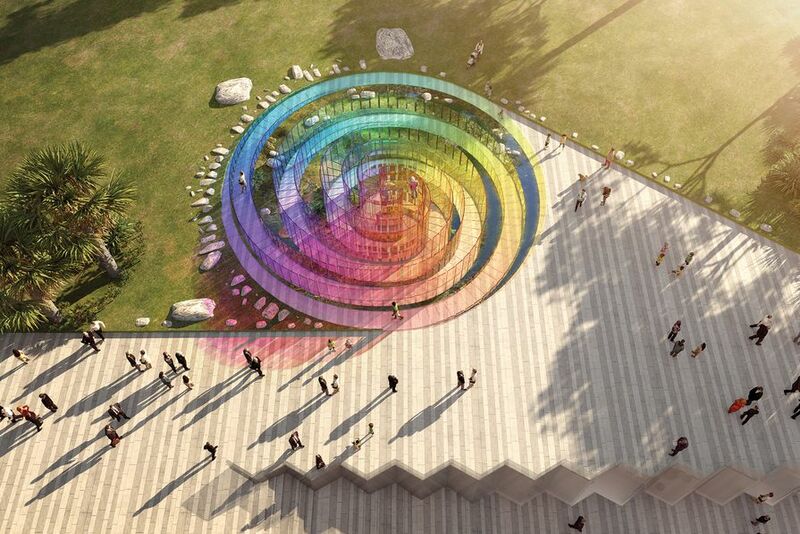 The Rainbow Serpent by Arthur Stefenbergs, Lucian Racovitan, Keith McGeough and Ovidiu Munteanu. 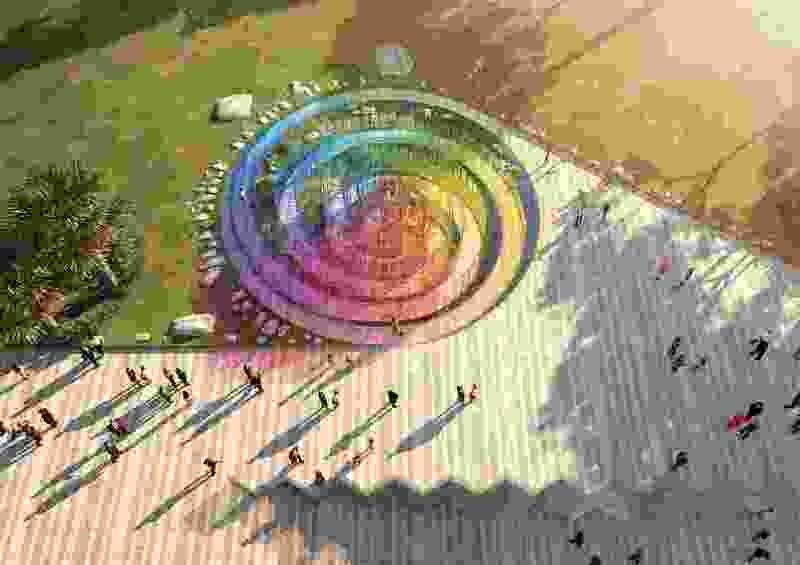 Eight Australian teams are among the twenty-five teams whose designs have been shortlisted in the 2018 Land Art Generator design competition. 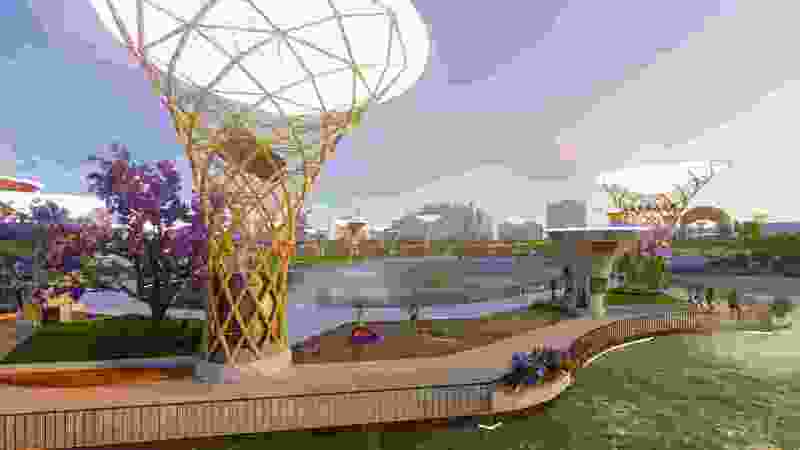 Participants from more than fifty countries world-wide submitted concept proposals for large-scale works of public art capable of producing clean energy for Melbourne’s St Kilda Triangle site. Elizabeth Monoian and Robert Ferry, co-founders of the Land Art Generator Initiative which is running the competition were overwhelmed by the depth of vision evidenced by LAGI 2018 participants and delighted by the Australian submissions. “We’ve never had so many local and regional teams dominate the shortlist before. 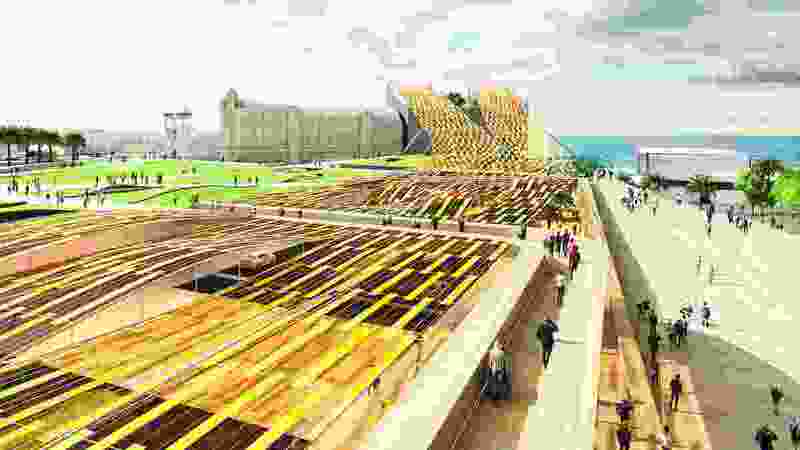 It’s a testament to the passion that is held locally for the St Kilda Triangle site and the value placed on design and art in the context of climate solutions for Australia,” they said. 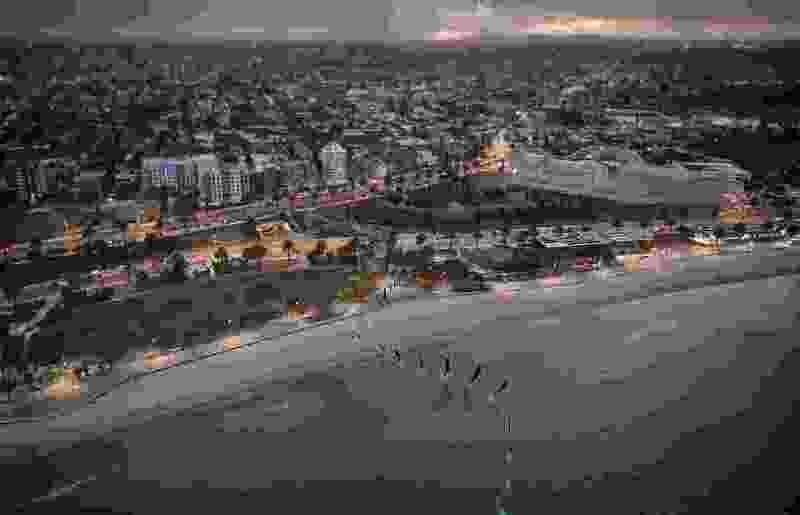 The competition tasked entrants with superimposing an energy and art design onto a masterplan that has been developed since 2010 in concert between the City of Port Phillip Council and a deeply engaged community. 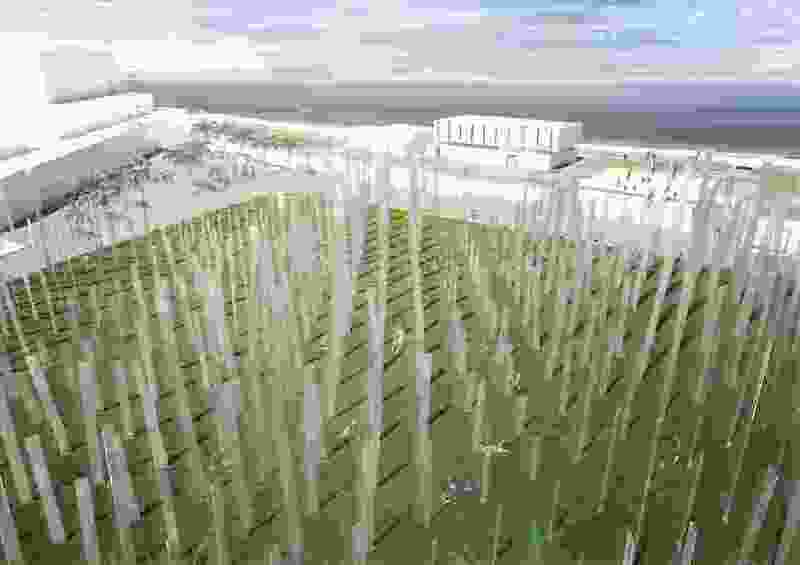 While there is no guarantee that any of the projects will be constructed, the LAGI 2018 shortlist is intended to inspire the St Kilda community about how the masterplan for the Triangle can become net-zero carbon while also hosting the latest innovation in civic art, becoming a must-see eco-tourism attraction. Ngargee by Soren Luckins, Ashleigh Adams, George Thompson, Kate Luckins, Alan Pears, Erin Pears, Peter Bennetts, Jasmine Sarin, Elder Arweet Carolyn Briggs, Rae Fairbairn and Dave Stelma – a proposal for an series of feather-like forms embedded into the landscape that evoke the stories of the Boonwurrung people. 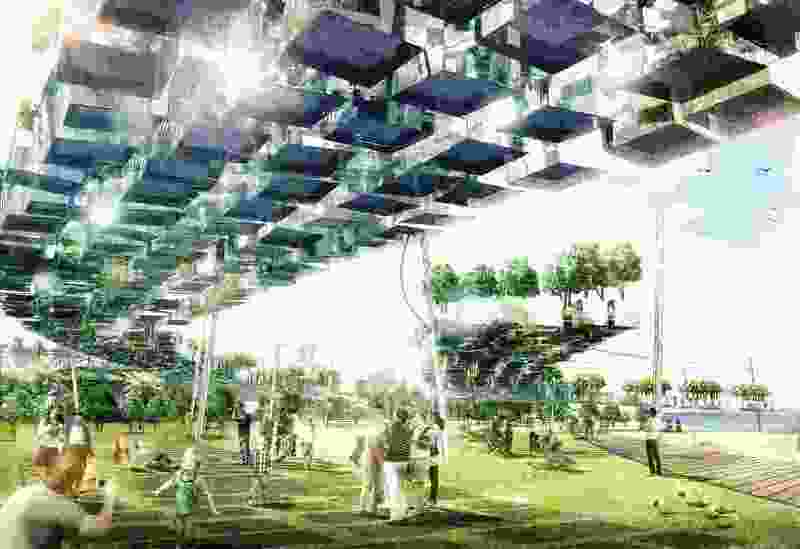 The Canopy by Kieran Kartun, Sonni Jeong and Matthew Wang – a proposal for a modular, urban renewable energy “park” with energy-harvesting “tree” structures. The Rainbow Serpent by Arthur Stefenbergs, Lucian Racovitan, Keith McGeough and Ovidiu Munteanu – a proposal for a solar harvesting glass “staircase” that also converts kinetic energy into electricity. 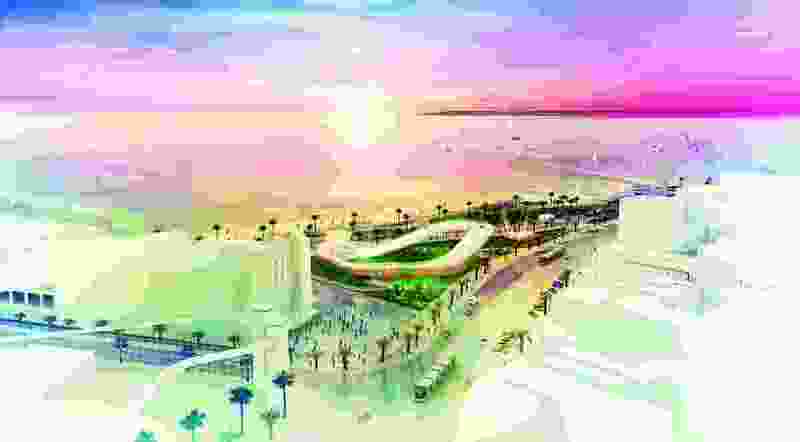 The final winning teams in the LAGI competition will be announced on 11 October at Federation Square in Melbourne at the launch of a week-long exhibition, followed by an exhibition in Acland Street Plaza opening on October 19. 2000 Murnongs by Azin Emampour, Xiao Lin and Qidi Li. The Canopy by Kieran Kartun, Sonni Jeong and Matthew Wang. Ngargee by Soren Luckins, Ashleigh Adams, George Thompson, Kate Luckins, Alan Pears, Erin Pears, Peter Bennetts, Jasmine Sarin, Elder Arweet Carolyn Briggs, Rae Fairbairn and Dave Stelma. Light Up by Martin Heide, Dean Boothroyd, Emily Van Monger, David Allouf, Takasumi Inoue, Liam Oxlade, Michael Strack, Richard Le (NH Architecture); Mike Rainbow, Jan Talacko (Ark Resources); John Bahoric (John Bahoric Design); Bryan Chung, Chea Yuen Yeow Chong, Anna Lee and Amelie Noren. Rotor by Louis Gadd, Aimee Goodwin and Danny Truong. Pitch! by Bryan Fan and Shelley Xu. St Kilda Halo by Pete Spence, Hiroe Fujimoto, Sacha Hickinbotham, Michael Richards, Alison Potter and Jason Embley (Grimshaw Architects).